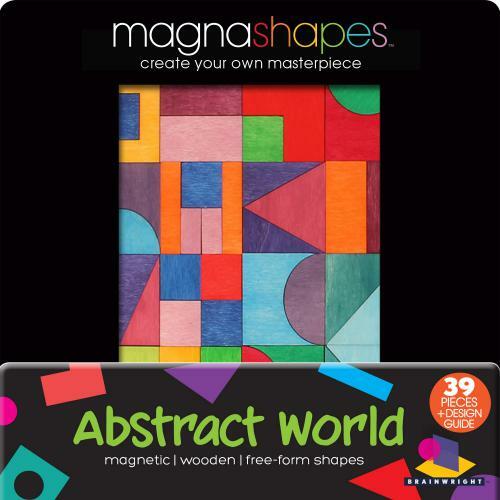 Show off your creative side with this vibrant collection of wooden magnetic puzzles! Each set contains a unique combination of colorful geometric shapes and comes packaged in an attractive travel-friendly tin. Create your designs right inside the tin or on any metal surface. Includes a guide for 10 colorful patterns.